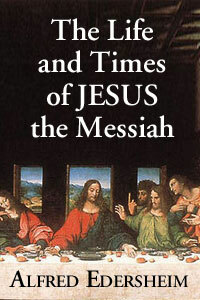 My zeal for God was at an all-time low when I started an ambitious project – read Alfred Edersheim’s 5,000 page The Life and Times of Jesus the Messiah. Before I started this project, years of disappointment led me to cloak myself in Martha faith. Martha believed something were possible for today and some things were not. Her conversation with Jesus revealed the hopelessness in her faith that she would see her brother again before she died. Martha gave Jesus a diplomatic answer. She was not willing to acknowledge her brother would rise from the dead today. Neither was she willing to make Jesus less than “the Christ, the Son of God”. She never gave the absolute answer Jesus sought. I could not in good conscience limit the All Mighty, so I, like Martha, concluded all things are possible BUT it is impossible for some things to happen in my lifetime. If I truly have the kind of faith that pleases God, it should not matter that death will remove me from the earth before I see the fulfillment of things spoken to me and confirmed. I might be limited by death but God is not. Swallowing the distasteful pill that things I counted precious would inevitable happen after I die is difficult. But Abraham, the Father of our faith, did it, so I gagged the unwelcome reality down. Then I wondered, what is the purpose of this life? If everything is for tomorrow, why am I here today? The blazing faith that engulfed me at my conversion had become smoking flax. I was sailing through Edersheim when my boat ran aground on a fig tree. When the disciples saw this [the fig tree Jesus had cursed withered], they were amazed. “How did the fig tree wither so quickly?” they asked. The disciples were amazed at the speed the fig tree withered after Jesus cursed it. In addition to the quick fulfillment of Jesus words, Edersheim points out that moving mountains was a common saying in Jesus day that indicating doing the impossible. The message was clear. Prayer makes the impossible possible. If we have faith and do not doubt we can see the impossible. NOW. TODAY. Not after we die and are resurrected. Martha had only requested healing for her brother. Jesus gave her above and beyond what she could have imagined. He raised her brother from the dead. It was interesting to note that her faith was not very strong. She never said that she believed Jesus could raise her brother from the dead today. She only acknowledged that he is the Christ, the Son of God. Her mustard seed faith was enough to see the impossible. The story put some oil into my lamp of faith with the smoking flax. I admit the flame is not burning very brightly, but it is burning with hope again. This entry was posted in Devotion and tagged Alfred Edersheim, disciples, Faith, fig tree, hope, impossible, Jesus, Life and Times of Jesus the Messiah, possible, prayer, Teena Myers, zeal. Bookmark the permalink.